Spark Innovators is one of the leading "As Seen On TV" companies, bringing inventors projects to life and helping them build these inventions into a going business venture. They have launched hundreds of products and these products can be found in tens of thousands of retail outlets. 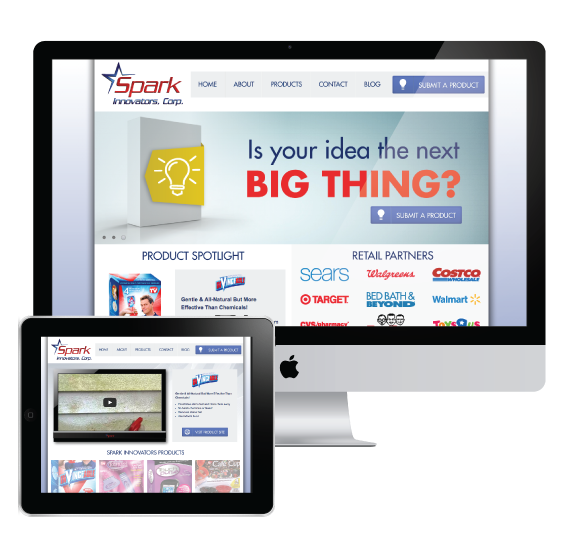 When Spark contacted us, they were in need of a new web presence to help show their latest products as well as educate the public about their company. They needed us to showcase their products while making it easier for inventors to get their product on the shelves of stores across America.